Anna, a Mississippi native, graduated with her Bachelor of Science in Psychology from Belhaven University in 2015. While in school, beginning in 2009, she started a yoga practice which soon became a way of living. In January of 2015, Anna pilgramaged to India to practice with some of the world's most renowned Bhakti teachers. A few months later in July 2016, she received her Yogaveda RYT 200 as well as becoming attuned to reiki in a month long Bhakti immersion at the Ayurveda Health Retreat Center in Alachua Florida. Her latest yoga teacher training with Infinite Source Yoga in September of 2017 was two week immersion into Infinite Source Yoga lifestyle where she learned about shamanic healing and yoga. Anna has been offering yoga since August of 2015 to people of all ages at various dance studios, yoga studios, and homes. Anna over the last two years also has traveled to various cities in the USA offering Prema Breathwork Workshops at local studios in which she finds to be one of the most humbling and fulfilling services she can be a witness to. She believes she is always a student to life and learning and is constantly learning and evolving as her offerings are. 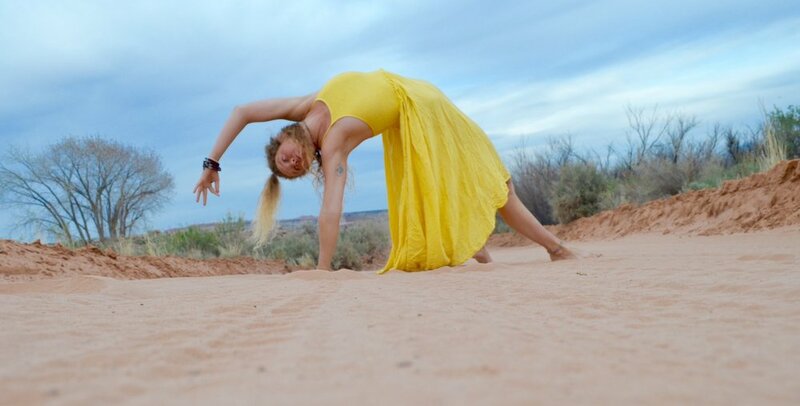 Her offerings as a teacher are inspired by nature, how the Earth can reflect our way of being back to us in our practice, as well as the breath, devotion through Bhakti yoga, Infinite Source Yoga, and shamanism; recognizing all of these tools and their ability to always bring us back into the present moment in body, mind, and spirit. Her personal practice is heavily influenced by her own teachers, elders, eastern mysticism, New Earth, as well as the Bhakti tradition in which she has integrated into her life. On the mat, her practice is hatha /vinyasa with a twist. Her classes, workshops, and retreats blend together for exploration into the heart unlocking the personal magic within each of us. Anna's style of teaching is designed to help others become inspired by self love through yoga. With emphasis on breathing and techniques, she holds space for practices to be a mindful and dynamic yoga to promote both physical and mental well-being. Anna draws upon her love for Lila, meaning "play" or "divine dance", reminding us to be lighthearted in all we do. The divine dance is an infinite dance just like our infinite connection to everything. Anna's yoga lifestyle led her to find other paths that she has now incorporated into her life that inspire her to live her truth which is geared towards simple and sustainable living from the heart. Anna is currently is immersed in learning shamanism through the Incan tradition of the Quero in which she is learning all the ways in which indigenous traditions parallel to those of yoga and how they can compliment one another in existing in this material world. She is excited to now be offering some of these healing modalities she is learning!